Question from Kelsey W.: I bought my wife a brand new Pentax K-50 camera back in 2014 and now she’s having a problem with it. After she first got the camera she used it almost every day for a couple of months, then she had a stroke and was unable to use it for quite some time. Her recovery from the stroke was long and difficult, but she is now finally able to resume some of her most loved activities, including taking pictures. The problem is the camera doesn’t work now. When she turns it on it says there’s no memory card. But there is one and it’s inside the camera. I read the manual and it said to format the SD card, but every time I try to format it the “no memory card” error pops up. It’s hard to believe this is happening because she was only able to use the camera for a couple of months before she had the stroke. Do you think the problem is a bad camera or a bad memory card? Rick’s answer: Hi Kelsey. First of all, I’m very sorry to hear about your wife’s stroke, but I’m glad that she has recovered somewhat and is now able to resume some of her most beloved activities. To answer your question, I believe the “no memory card” issue is probably being caused by the memory card and not the camera. 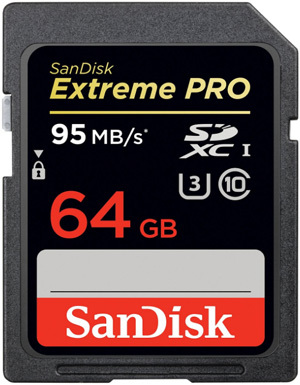 SD cards are notoriously unreliable. In fact, they often fail before the warranty even runs out. Of course there’s always a chance the camera itself could have an issue, but I seriously doubt it in this case. If I were you I’d replace the SD card with a new one and see what happens. As you can see right here, SD cards are dirt cheap these days so trying a new memory card first is a no-brainer. If the issue still persists even with a new SD card, you’ll need to have the camera checked out by a camera repair shop. The Pentax K-50 is a great camera and I believe it’s well worth the expense of having it checked out repaired if the cost is reasonable. If there isn’t a camera repair shop in your area you can always take it into the nearest Best-Buy and ask the Geek Squad for help. You could also send it off to United Camera. They do great work and their rates are very reasonable. I hope this helps Kelsey. Good luck!